Inventory We are a resale marketplace, not a box office or venue. Ticket prices may exceed face value. This site is not owned by Ted Constant Convocation Center . 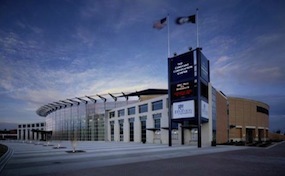 The Ted Constant Convocation Center is a 9,520-seat (219,330 square feet) multi-purpose arena in Norfolk, Virginia, located on the campus of Old Dominion University. "The Ted" has 7,519 (fixed) fully cushioned seats, 16 luxury suites, and a state-of-the-art scoreboard. The arena currently seats 8,639 for basketball games. In addition to being used for home basketball games, the Constant Center hosts family-oriented events as well as concerts and lectures. CenterNorfolk.com is not affiliated with any primary box office or supplier. We are a privately owned and operated business specializing in sales in the secondary market. To buy tickets for any Constant Convocation Center events in Norfolk simply click on the event of interest or call our operators at anytime.